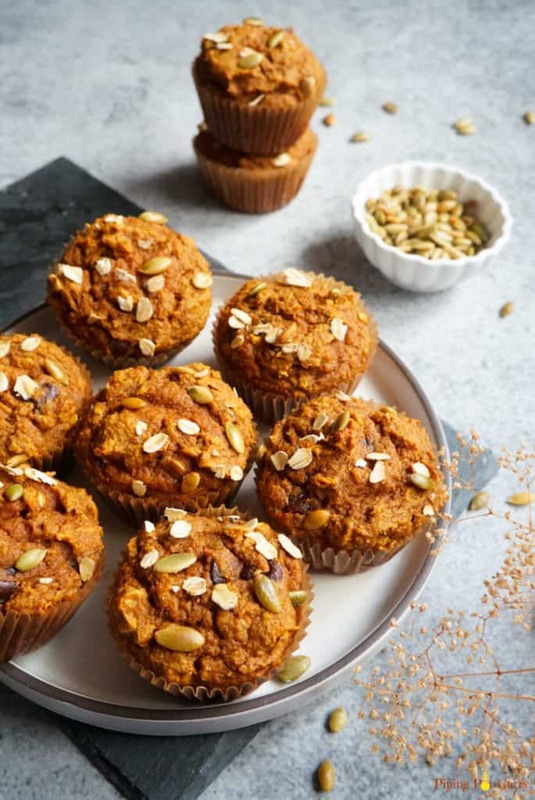 Kickstart you Fall mornings, which these Healthy Whole Wheat Pumpkin Oatmeal Muffins. 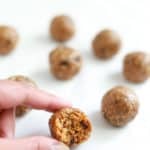 Made with freshly milled whole wheat flour, rolled oats, pumpkin puree, yogurt along with chocolate chips, these are satisfying goodies that you can enjoy guilt free. 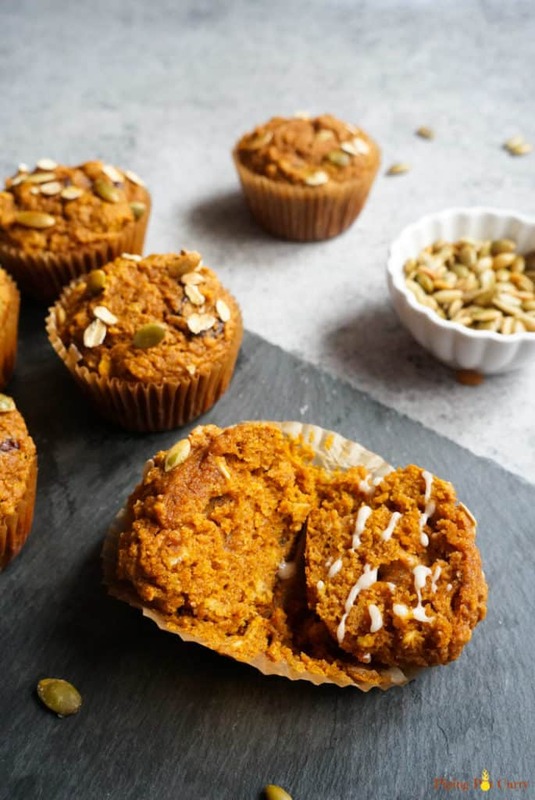 I have been enjoying Fall food whole heartedly, firstly with the Chickpea Squash Fritters, then Butternut Squash Soup and Coconut Pumpkin Halwa, and now these Healthy Whole Wheat Pumpkin Muffins. 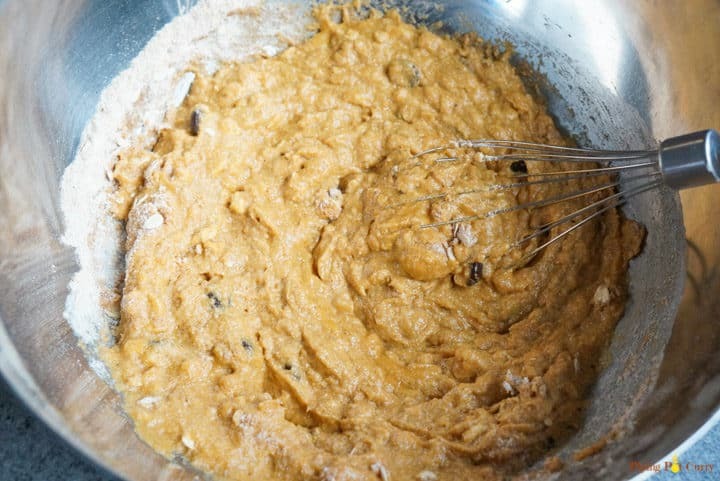 This is the first real muffin baking recipe I am sharing on my blog. But I have been making so many muffins (add chocolate chips to all) as my daughter loves them. So I want to try to make them healthier so she is not getting just empty calories. 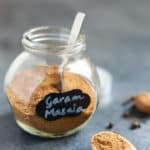 Hence this recipe comes to you with all wonderful ingredients that you will not mind enjoying any time with your cup of warm coffee or tea. You might also like these Instant Pot Brownies made from scratch. Check it out! I have been making homemade pumpkin puree in my instant pot. Try now if you have not tried, it is so easy. However with that I need lots of ways to use the pumpkin puree. 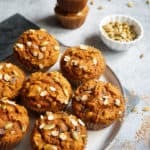 Hence this Pumpkin Oatmeal Muffins recipes is one easy way to use it up. I also recently got the Nutrimill, which is a wonderful machine to make freshly milled flour. And I must say I am so impressed with the softness of the muffins with the fresh flour. 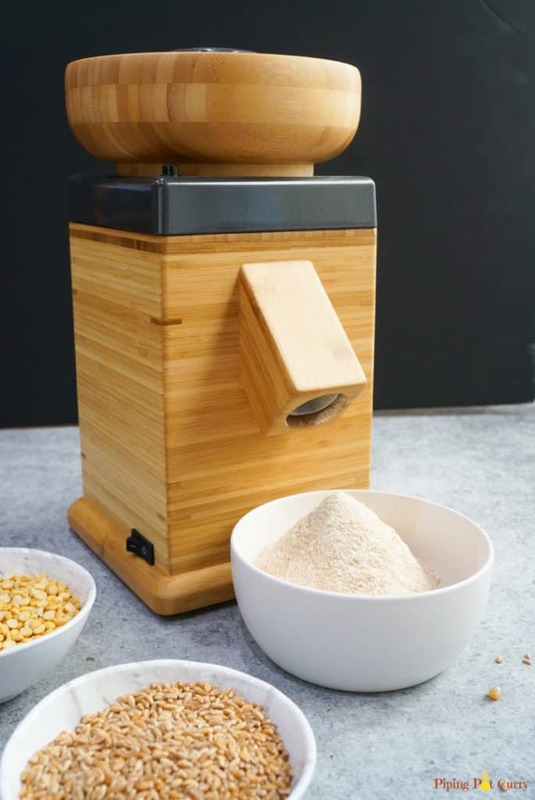 It takes just 2 minutes to start the Nutrimill and get freshly milled whole wheat flour. It is like magic! Start with pre-heating the oven to 350F. Line a 12 count muffin tray with liners. 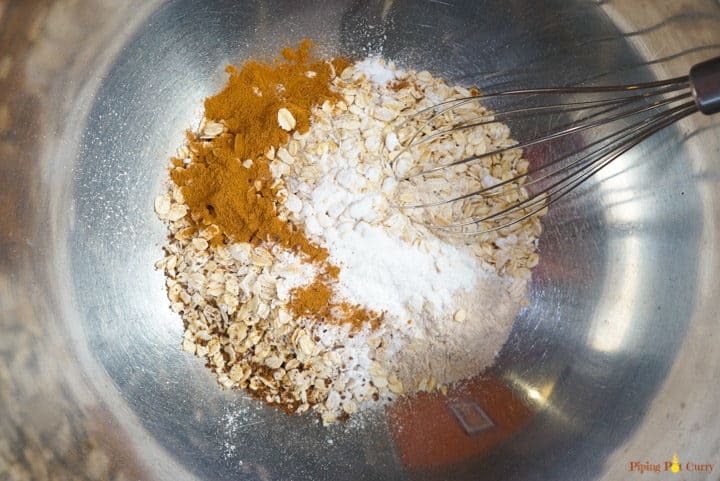 We will first mix the dry ingredients in a large bowl – whole wheat flour, rolled oats, baking soda, baking powder, ground cinnamon, nutmeg, cloves and salt. Mix them well and set aside. 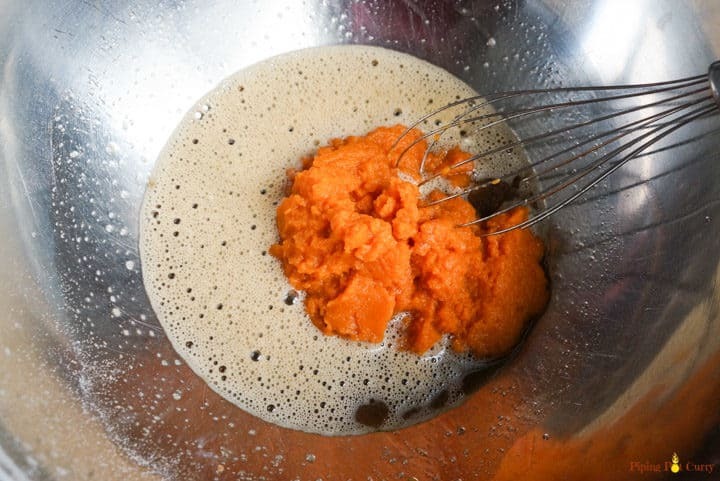 In a separate bowl, start mixing the wet ingredients – whisk the eggs, brown sugar, then add pumpkin puree, melted butter, vanilla and yogurt. Mix all well until combined. Mix the dry ingredients into the wet ingredients bowl. 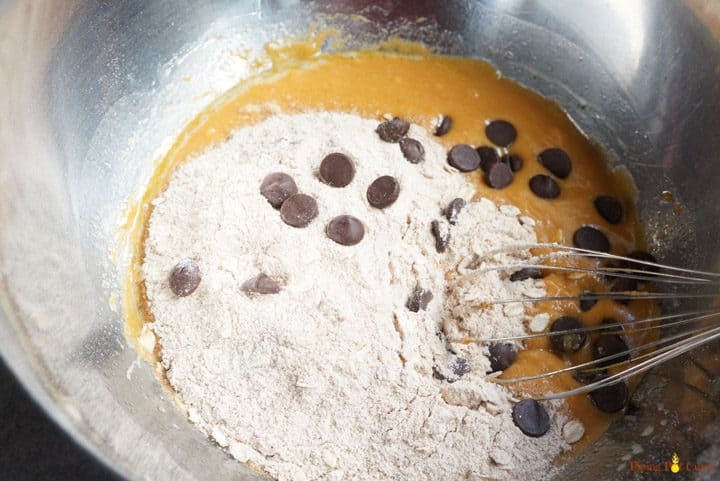 Add the chocolate chips and fold everything together gently until combined. Scoop batter into prepared muffin tray, filling each cup but leaving some space for the muffins to fluff. Sprinkle with pumpkin seeds and rolled oats. Bake for about 20 minutes or until toothpick inserted in the center of muffin comes out clean. Don’t they look gorgeous? I have cut one below trying to show you how soft they were for whole wheat muffins. Chocolate chips are optional. You can just skip them from this recipe or replace with walnuts or cranberries. I used brown sugar, but maple syrup can be used to sweeten these muffins too. I added rolled oats in this recipe, however they can be skipped without any change to the recipe as well. These muffins can be refrigerated for up to 4 days. Let them cool on a wire rack before saving in an air tight container in the refrigerator. I lightly warm them in the microwave for 10 seconds before enjoying them. Sometimes I enjoy topping with some sugar glaze to get a sweet kick (okay, I am making them a bit unhealthy here 😊). 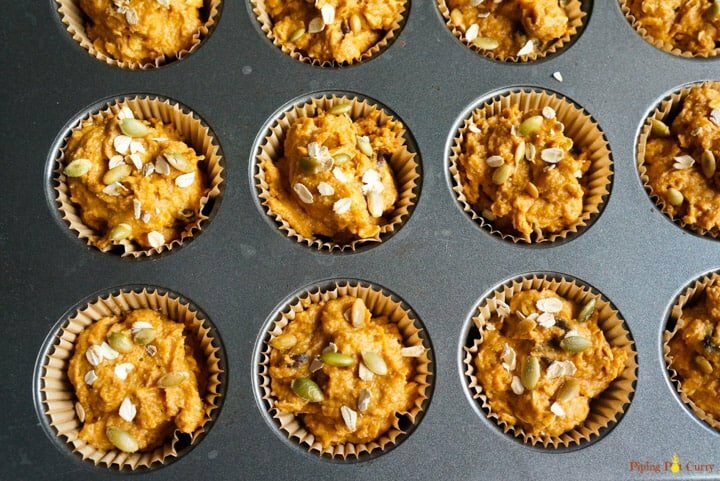 Why you will love these Whole Wheat Pumpkin Muffins? 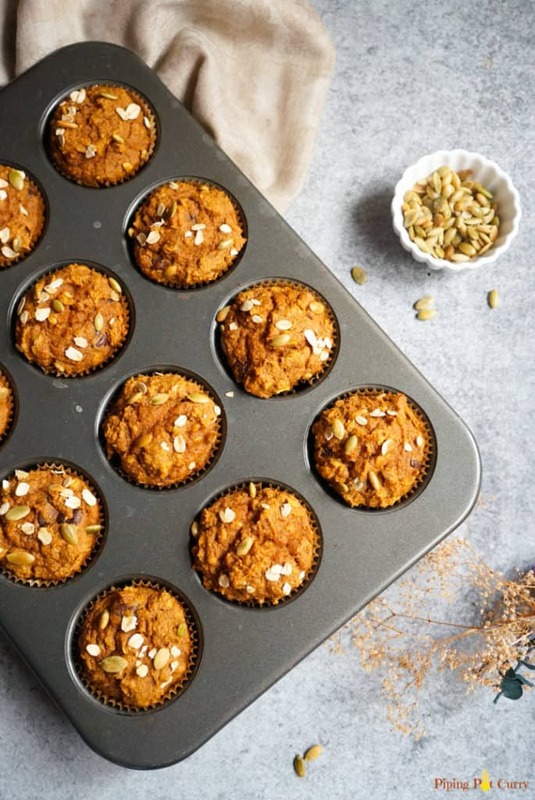 Enjoy these healthy whole wheat muffins made with freshly milled flour. You can definitely use store bought whole wheat flour in this recipe. 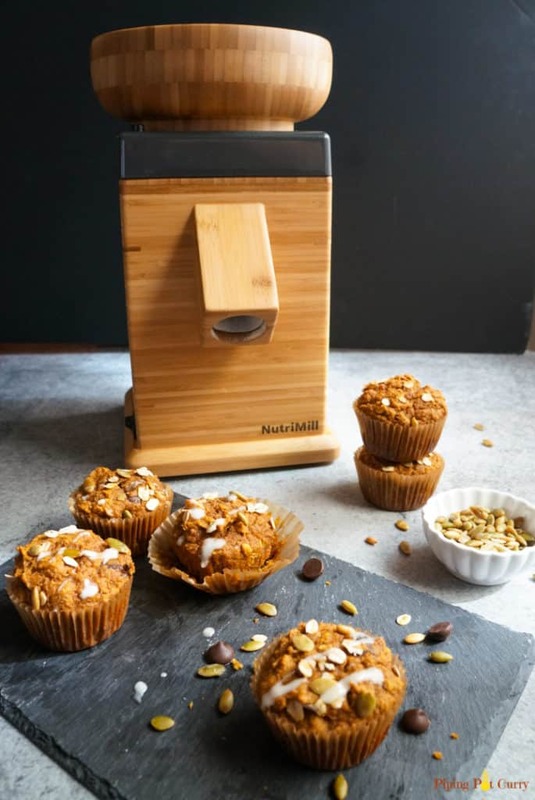 If you want to get your hands on the Nutrimill, here is my affiliate link along with a discount code for you – Nutrimill Harvest Everyday Essentials Package. 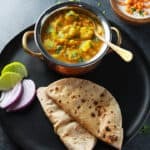 Use the code PIPINGPOTCURRY-NH to get a $48.98 discount. It is a great price and machine you don’t want to miss, especially if you enjoy baking. If you want to buy Nutrimill on Amazon, here is the link – Nutrimill Harvest. Here is a Fall appetizer where you can use Nutrimill to make freshly milled chickpea flour – Chickpea Squash Fritters. 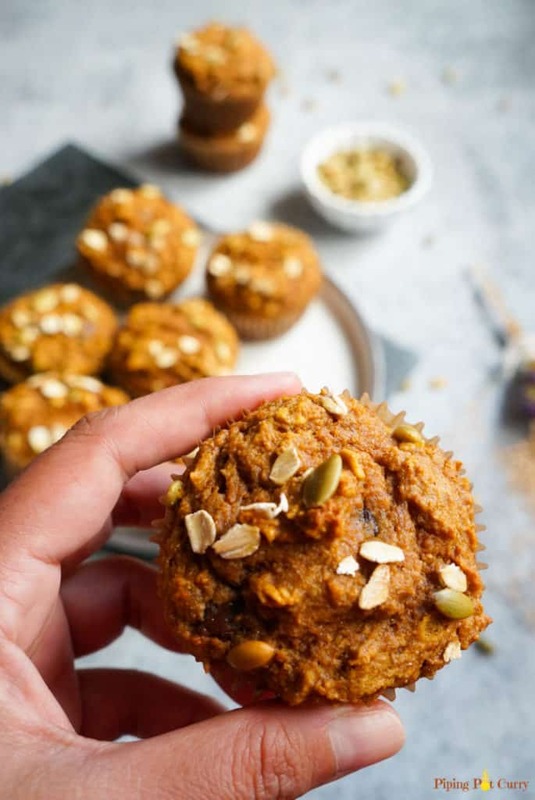 Kickstart you Fall mornings, which these Healthy Whole Wheat Pumpkin Oatmeal Muffins. 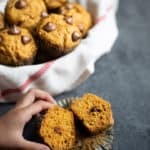 Made with freshly milled whole wheat flour, rolled oats, pumpkin puree, yogurt along with chocolate chips, these are moist satisfying goodies that you can enjoy guilt free. Preheat oven to 350 degrees F. Line a 12 muffin tray with cupcake liners. 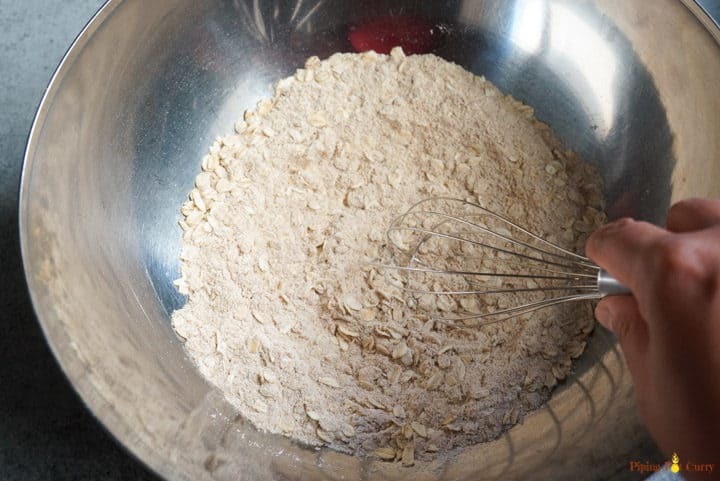 In a large bowl, mix together whole wheat flour, rolled oats, baking soda, baking powder, ground cinnamon, nutmeg, cloves and salt. Mix them well and set aside. 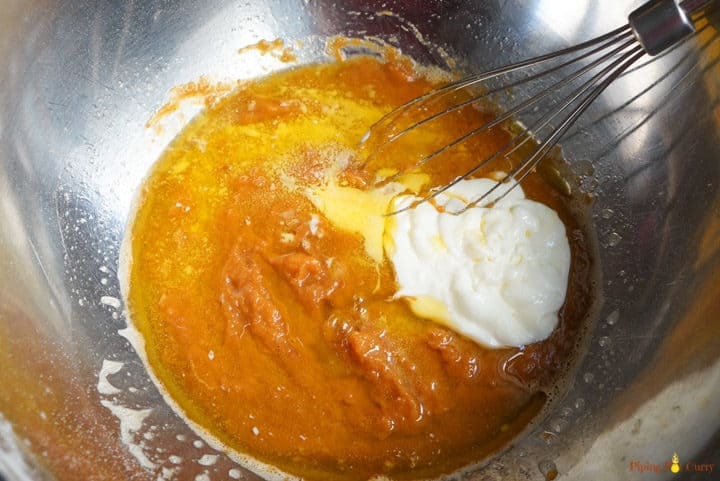 In a separate bowl, start mixing the wet ingredients - whisk the eggs, brown sugar, then add pumpkin puree, melted butter, vanilla and yogurt. Mix all well until combined. Scoop batter into prepared muffin tin, filling each cup but leaving some space for the muffins to fluff. Sprinkle with pumpkin seeds and rolled oats. Remove baking try from the oven. Allow muffins to cool before enjoying. All-purpose flour: You can also use all-purpose flour in this recipe. Or a mix of whole wheat and all-purpose. Pumpkin Spice blend: You can use 1 tsp pumpkin side blend in place of the nutmeg and cloves in this recipe. Chocolate chips: They are optional. You can add walnuts or cranberries to change up when making these muffins multiple times. Serving Options: Serve the muffins on their own, with a pat of butter, or spread some almond butter. 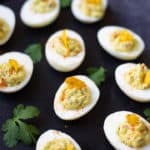 I want to make these vegan. If I skip the yogurt and butter will they turn out ok? So I need to sub something else? Thanks! Hey Kari – I have not tried so it is hard for me to confirm it will work perfectly. My guess is to replace butter with your choice of vegetable oil and yogurt for vegan yogurt or soy/almond milk. Please do let me know if you try as it will help other readers. Thank you!